Worship leader Aaron Shust shares about his sons’ miraculous healings and sings from his latest album. Aaron grew up near Pittsburgh, Pennsylvania then went to college studying Music Theory at Toccoa Falls College in Georgia. While in school, Aaron started playing in coffeehouses and churches. In 2000, Aaron began leading worship at a church in Duluth, which is where he recorded his first album. In 2006, the second single, My Savior, My God, was listed number one on six charts simultaneously, spent 30 weeks in the top five on the R&R Christian AC chart, and earned Aaron Dove Awards for Song of the Year and Songwriter of the Year in 2007. 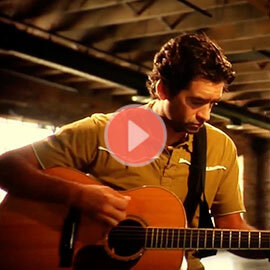 In the songs he writes or chooses to record, Aaron makes sure that the lyrics glorify God. “I want the listener’s perspective of God to be magnified. We don’t need to make God any bigger than He already is; I just want the person’s perspective of God to change,” says Aaron. He is often asked what songs he wrote because of his sons’ healings. “I’m not a storyteller,” he says. “I’m a worship leader. I haven’t discovered how to tell a story in a worship song. My songs are responses to who God is.” He will be singing God of Brilliant Lights.